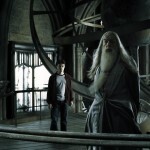 Snitch Seeker has just received confirmation from Warner Bros. that Harry Potter and the Half-Blood Prince will premiere on 6 July 2009 in Japan. Two other world premieres will be held: London on July 7th and New York City on July 8th. Last month, HPFZ reported that filming for Deathly Hallows‘s “Shell Cottage” scene would be filmed in west Wales. Specifically, it will be filmed from May 11th to May 15th in Pembrokeshire National Park. However, some residents have worried that filming would be destructive to the beach, believing it could potentially lead to the beach’s temporary closure in mid-May. In response, Warner Bros. has promised a maximum crew of 200 – which isn’t a bad promise (the last public Deathly Hallows scene filmed which included over 400 extras). In addition, Pembrokeshire council cabinet member Rob Lewis insisted that the benefits of filming (mainly tourism in the current economy) would outweigh any temporary disruption. 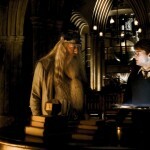 Warner Bros. has passed on to us two new high-resolution photos from Harry Potter and the Half-Blood Prince. 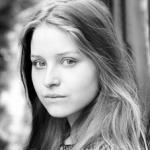 Jessie Cave’s agency has recently confirmed that Jessie will reprise her role as ‘Lavender Brown’ in Harry Potter and the Deathly Hallows.